The 2018 Winter Holiday collection features eight brand-new, sentiment-focused designs to bring a bit of holiday cheer and merriment to the season. 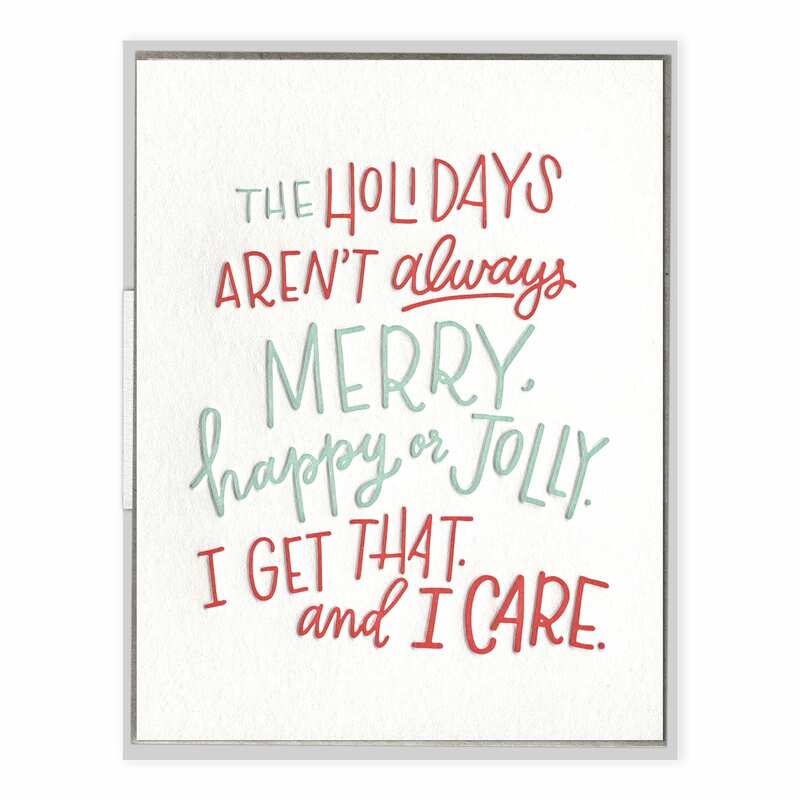 We’re also introducing a card that acknowledges the holidays aren’t always the easiest or merriest for everyone. 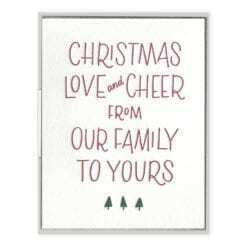 As always, our cards are designed, letterpress printed, and assembled by hand in our sunny Charleston, South Carolina studio. 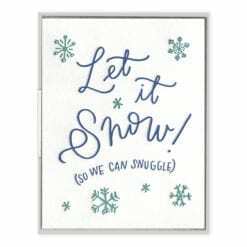 Special Note: Orders that include designs from the 2018 Winter Holiday collection will ship the week of August 20.